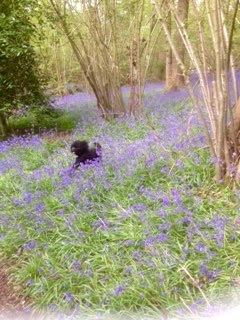 Aaah bluebells, I adore them! I have fond childhood memories of picking huge bunches – it was the seventies! 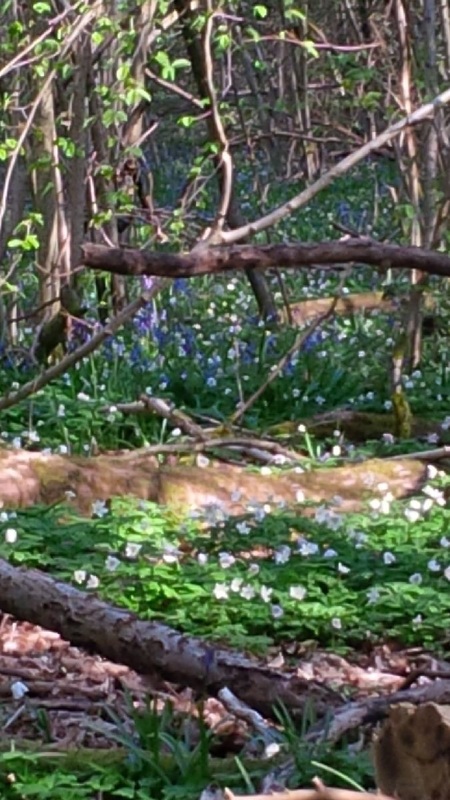 And now I am privileged to live a few hundred yards from some ancient blue bell woods. For me the gradual emergence of the bluebells is like the slow burn of a fire, this morning the first bluebells look a little like smoke hanging over the ground…. Then they build to an indigo inferno, the smell is so intense it can make you feel slightly dizzy and as we know it’s sends Miss Darcey round the twist! And then just as quickly as they came, they leave, last year they left me with a palpable sense of loss so I set about trying to replace them! 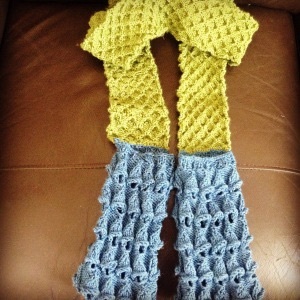 I knitted this amazing pattern from Tiny Owl Knits, so I could wear them! 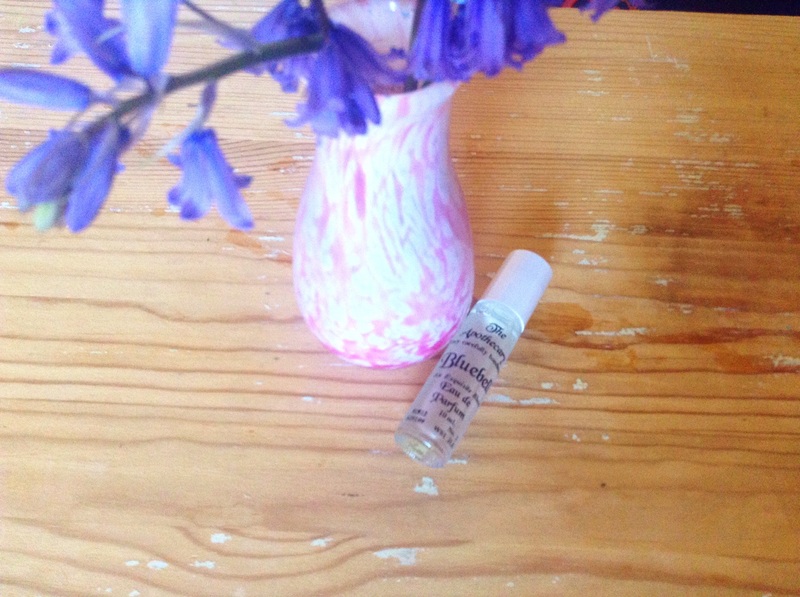 But that wasn’t enough, I needed the smell of them, I bought two Bluebell perfumes, one was Jo Malones Wild Bluebell… This is a gorgeous scent with notes of grass and moss as well as the flower, it is £40 for 30 ml. i also bought this one from The Apothecary on Etsy, more floral and a bargain at £4.99… It’s way more floral than the Jo Malone one but very pretty. ( don’t worry no bluebells were harmed in the taking of this photo, because the wood is so close we get ones springing up in our garden). And this year they are inspiring me to paint, I have in mind a series of pictures about a group of tough fairies, these fairies are trying to protect my ancient wood from the slow creep of housing that surrounds them. 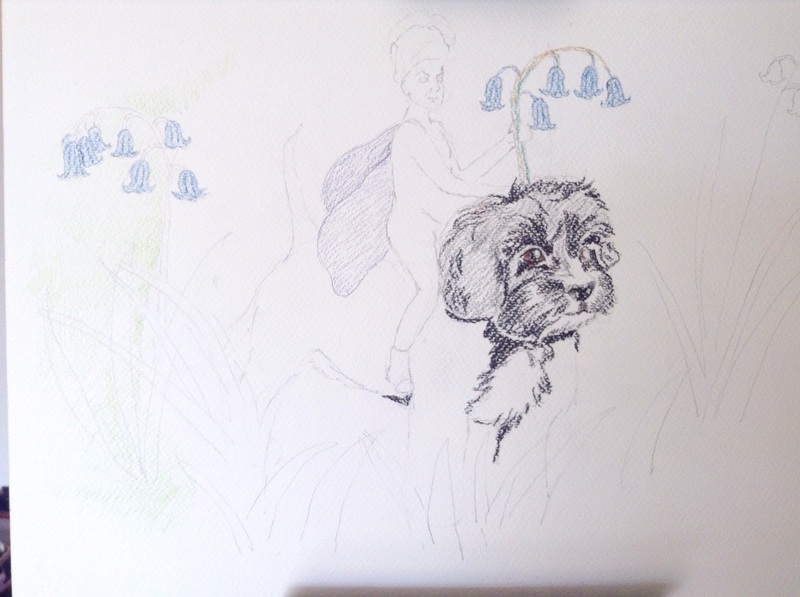 The first picture is underway…… It features the Bluebell fairy riding a younger Darcey, holding her bluebell like a flag, patrolling her flowers and protecting them. The next one will be a fairy sleeping with the dormice that live in our wood, however I am struggling with a name for these fierce fairies, any suggestions? please let me know. There’s a fire starting near my house,the first small blue flames have started and soon it will consume everything around it. Soon there will be no smell available to you except that of the fire,no colour other than its colour will be visible. No one will make any effort to stop it even though it will rage for weeks. And when it is time the fire will stop as suddenly as it started and I will weep for its return. This entry was posted in Uncategorized and tagged bluebell, etsy, fairies, jo malone, perfume, wood, woodalnd by karenlorenz. Bookmark the permalink.